Prospective Students -- Learn About MSE! 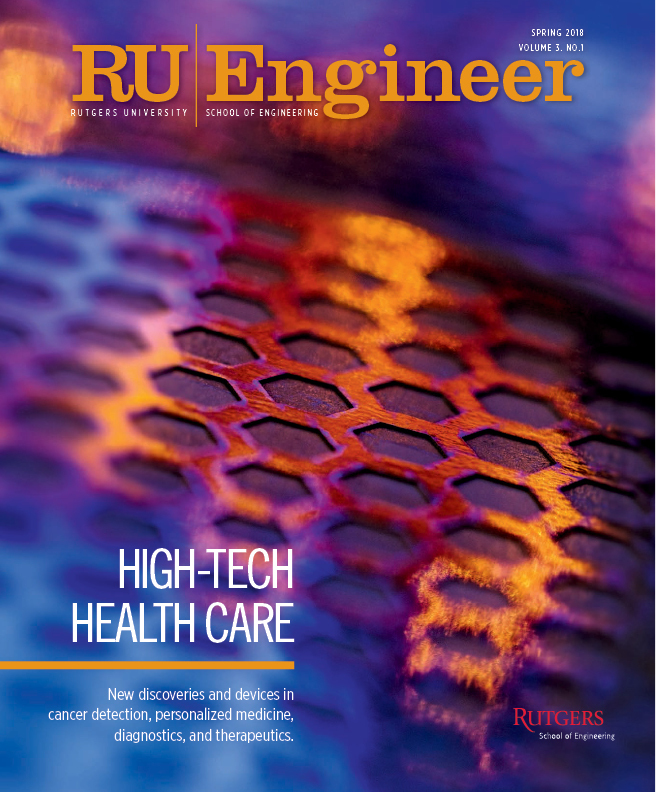 Materials scientists and engineers create innovative high-value products by designing at the atomic, molecular, and up to macroscopic levels to contribute to all fields of engineering. Materials Science and Engineering (MSE) majors use the fundamental principles of physics and chemistry as well as the practical knowledge about the microstructure and processing of advanced materials of all types. They might use plastics and other disposable materials to develop high-performance fabrics or develop carbon nanotubes or graphene as materials to help sense bacteria, chemicals, and other dangers in our food or water supply. 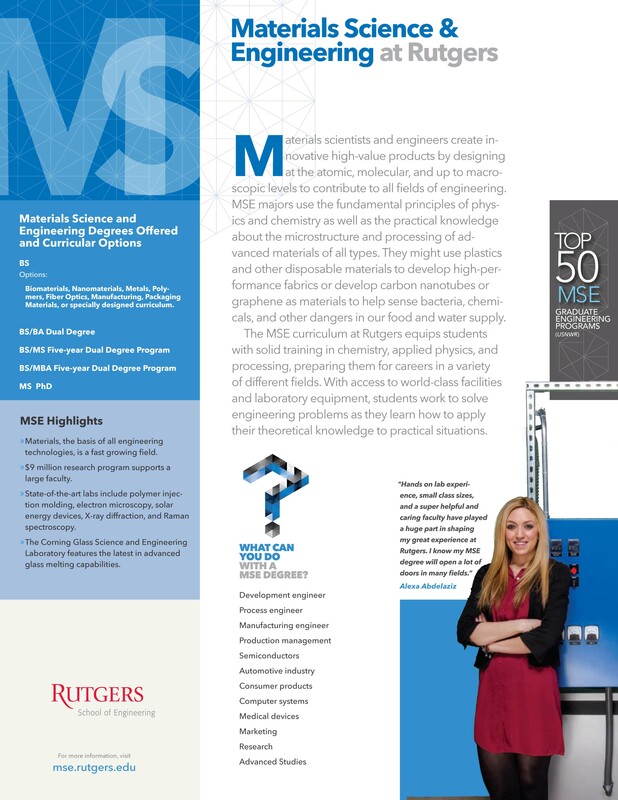 The MSE curriculum at Rutgers equips students with solid training in chemistry, applied physics, and processing, preparing them for rewarding careers in industry, commerce, and academia. We are a close knit department with an excellent student/faculty ratio that promotes effective learning in the classroom, laboratory, and through close relationships with faculty and fellow students. With access to world-class facilities and laboratory equipment, students work to solve engineering problems as they learn how to apply their theoretical knowledge to practical situations. Come start your career with us. Explore the links to the left to learn about getting a degree in Materials Science and Engineering and find out more about the flexibility of our program and the many concentrations that are available.